Losing several (or all) of your teeth also means losing your ability to eat and speak well, and to smile confidently in front of other people. This type of denture is comprised of a full set of upper and lower teeth. The denture uses suction to stay in place and is made of pliable material, making the suction stronger. Partial dentures are ideal for patients who lose several of their teeth and not an entire set. This single fitting denture is supported by the healthy remaining teeth and gums. 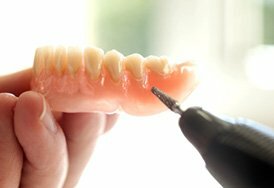 Partial dentures are more secure and comfortable than standard full dentures. Cosmetic dentures are fabricated to look just like your teeth, and as natural as possible. This type of denture is made from a special acrylic base that eliminates possible shrinking and warping of dentures. Cosmetic dentures can also achieve a natural appearance with the help of implants. An implant is surgically installed in the bone so that the dentures have something to hold on to. This combination allows the denture to stay in place, which makes them more comfortable than other types of dentures. During your first visit, your dentist will examine your mouth (gum tissue, bone structure, and existing teeth) to check its condition as well as determine your suitability for dentures. 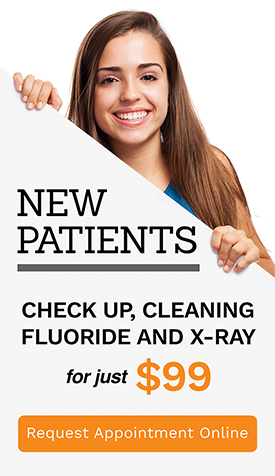 Dental X-rays and impressions will also be taken for the preparation and fabrication of your dentures. At A Plus Dental, we use the latest technology to design your replacement teeth so that your dentures fit well and look natural in your smile. We only use high-quality materials in our tooth replacements for durable and long-lasting dentures. Our dentures are designed to match the natural form and colour of your teeth as closely as possible. You can choose from a variety of materials, ranging from traditional acrylics to wear-resistant resin. If you are interested in restoring your smile with our high-quality dentures, visit your dental care partners at A Plus Dental right now.